Group classes are social and fun, and you and your dog will meet new friends in a safe, clean environment. Plenty of socialization and distractions will insure the development of attention and focus of the dog and the owner. With our special method (established after 25 years of intensive training and learning in both Europe and the US) we will bring owner and dog to a perfect understanding and a common language will be established. Classes are organized to insure a productive learning environment, and the necessary personal attention. An explanation of what we need to know and do to have a satisfied, happy, well-mannered, and easy-handled dog will be given, and questions will be answered. We’ll discuss: positive reinforcement and dissuasive reinforcement – training collars – practice one by one, and in groups, followed by “homework” for the week. Every Lesson is 60 minutes, and will start with a discussion and review of the last session, followed by an explanation and practice of new exercises. **Please note: Training is guaranteed, provide you complete the training program, follow through with HD Trainer’s directions and suggestions, and practice 15-20 minutes a day. Have a question? 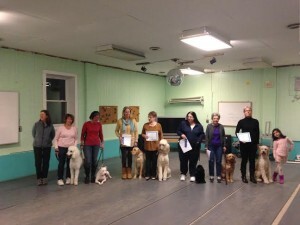 Want to speak with a Certified Dog Trainer? Drop us a line. Fill out the form below and one of our team will contact you ASAP! Our Kennel is a small, peaceful, family operated facility that nevertheless offer a high standard of professionalism and knowledge.